« Older: San Pedro brings in 2018 in spectacular fashion! 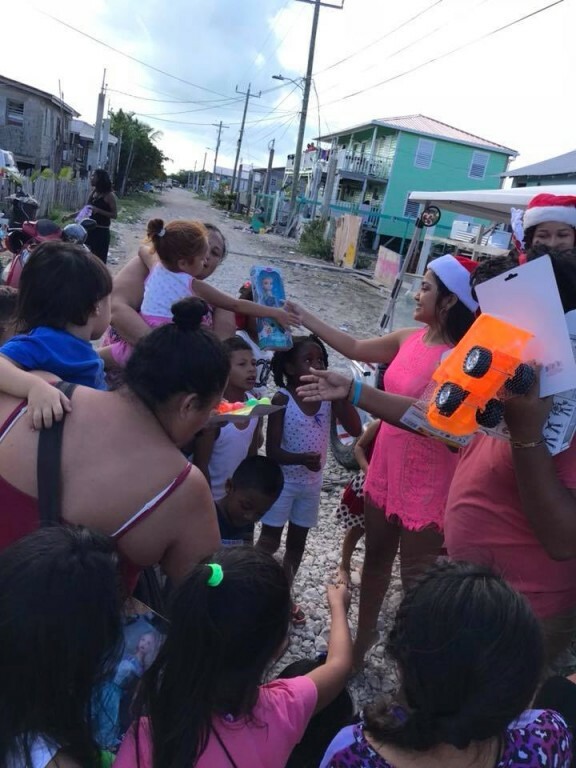 Nayobie’s Hope for Children Project brought happiness to many children and senior citizens of Ambergris Caye during Christmas Day, on Monday, December 25th. Over 100 children of modest means received a Christmas present while some senior citizens were gifted with a box of groceries. 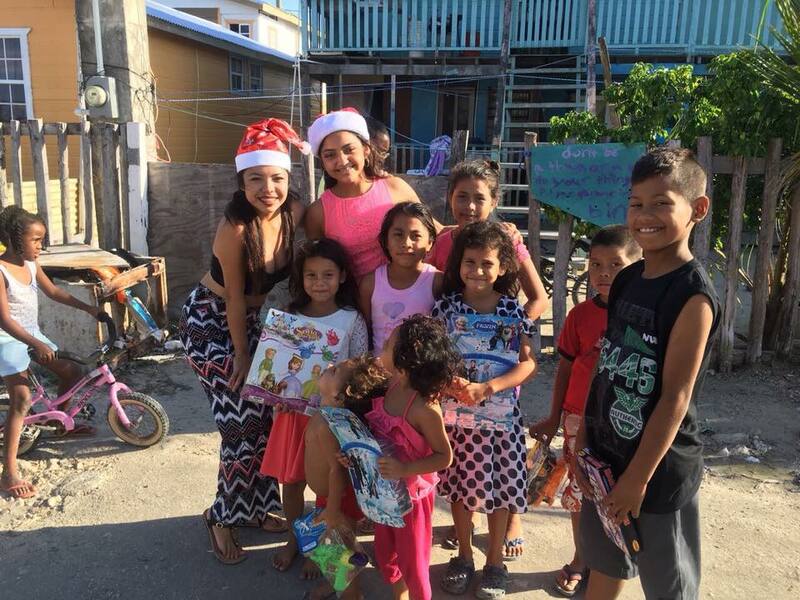 Shortly after 1PM, Project Founder Nayobie Rivero along with her team started the distribution of gifts across the island. 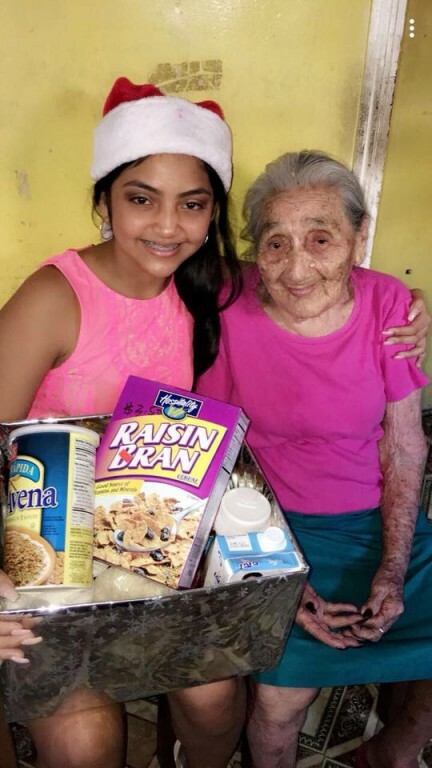 The gifts were distributed randomly to any child they encountered on their route, while the boxes of groceries were given to the less fortunate seniors of the island. “It was the best time of my life, seeing the innocent reactions of these kids and elders. Their smiles are my best Christmas gift,” said Rivero. “I want to thank every business who contributed, my entire team and my family who have supported me from day one. 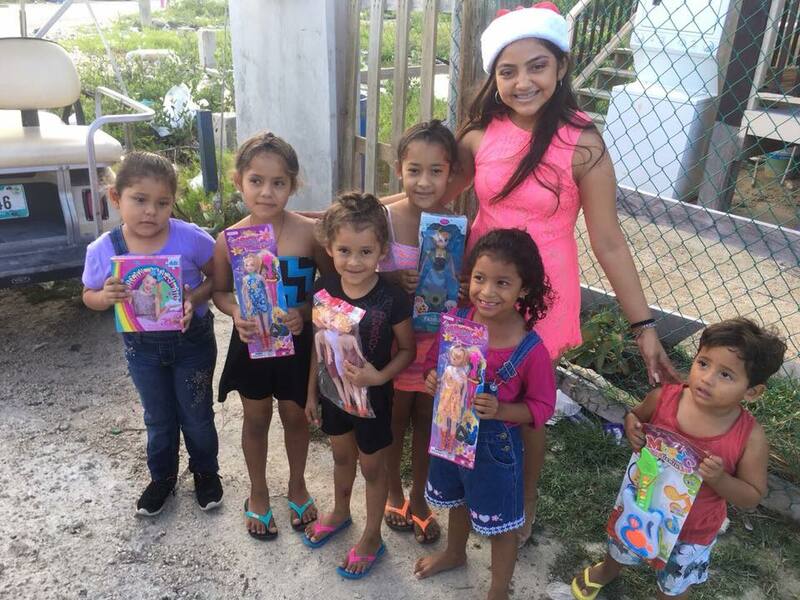 Without them, this wouldn’t have been possible.” The funds to purchase the gifts and groceries were raised via a fashion show that was held on Friday, December 22nd under the theme “Candy Land” at the Angel Nuñez Auditorium. The sponsors of the fashion show included: Wings, Nellie’s Baby Nest, Pink Boutique, Forecast Fancy, Victoria House, Traveller’s Liquors, Rapidito Loans, Island Torch Bar & Grill, Bowen & Bowen, Pineapples On The Beach, Caramba’s Restaurant, Milo’s Center, Annie’s Pastries, Styland Salon, Hidden Treasures, Amigos Del Mar Dive Shop, Wild Mango’s, Graniel’s Dreamland, Daddy Rock Nightclub, Sagittarius Gift Shop, Kaydan’s Ceviche Stall, Sandy Toes, Estell’s Dine By The sea, San Pedro Town Council, Mama Rose Catering, Sand Bar Staff, Jose Luis Zapata Photography Boutiques, Serendipity Boutique, Love Belize, Divas & Dudes and Sonia’s Fashion. 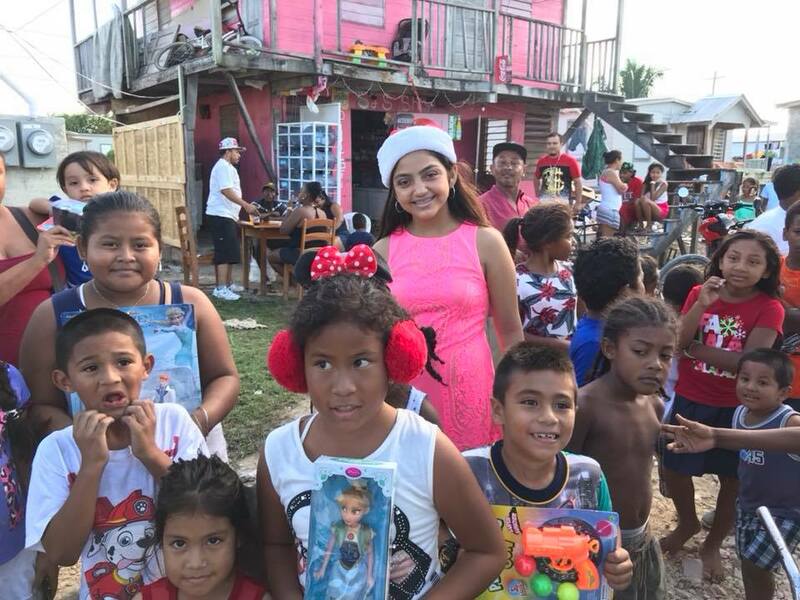 The Nayobie’s Hope for Children Project is a non- governmental organization that is headed by 14-year old Rivero along with the help of her family and friends. The organization was formed recently and focuses on conducting several fundraisers, to raise money to help unprivileged children of Ambergris Caye in many aspects. Rivero thanks, everyone who contributed to this project and made it a success. Next year’s project promises to be bigger and better.